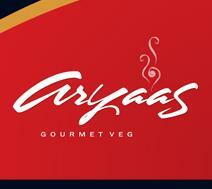 Aryaas Restaurant is one of the top Indian vegetarian bistro chains in United Arab Emirates and Middle East. This famous Indian restaurant chain has made its mark by producing authentic South-Indian affair along with delectable vegetables dishes of the region, which are quite popular especially among the local Indian community. The guests will get an exclusive ambience along with elegant settings in the Bur Dubai outlet of Aryaas Restaurant. However, most significant thing is that this restaurant serves scrumptious and quality food at very affordable prices, so foodies can consume various delicacies until they get fully satisfied. In brief, Aryaas Restaurant is a great value for money and also a luscious dining experience in the district of Bur Dubai. Aryaas Restaurant possesses expertise in preparing original South-Indian and vegetable dishes, which guests can bask in at any hour of the day. This includes refreshing breakfast along with excellent coffee, Indian vegetable cuisine or usual meal, which will force you to come back to this venue again and again. This restaurant can also accommodate small group (up to 10 people) in its conference room. In addition to this, they also provide catering service in the city and have earned an excellent repute in it as well. Takeaway menu is also available at this eating place, so people can carry their favourite dishes to offices or homes as well, apart from their delivery service. To view the dishes offered at Aryaas Restaurant, click here! The operational hours of this restaurant last from noon till midnight, all seven days of the week. Opposite Burjuman, Bank Street, Bur Dubai - Dubai - United Arab Emirates. Oud Metha Metro Station 1 is sited 1.9 kilometres away from the Aryaas Restaurant in Bur Dubai. This makes it a walking journey of about 24 minutes. All commuters need to do is to head out in the west course towards 10th Street, from this metro station and continue straight onto 10th Street. At the roundabout, take the fourth exit onto Umm Hurair Road/D 78 and then take the pedestrian overpass. This will bring lead them to a turn on the right that goes to 43 B Street, from where commuters should turn left onto 20 B Street and then make a right turn onto 45 B Street. After that commuters should turn right onto 18 B Street in order to get to the destination. Al Karama Bus Station 1 is 140 metres far from the Aryaas Restaurant and bus route number C3 stops by here. Guests can bridge this gap on foot in roughly 2 minutes, if they head southwest towards 45 B Street and continue straight onto 45 B Street. Afterwards they should turn left onto 18 B Street to find the destination right in front of them. Check out the map.